Today is World's AIDS day, a day earmarked specially to raise HIV awareness, remember dead loved ones, show solidarity with people living with HIV, celebrate survival and health, and to raise money for HIV and related causes. The theme this year is "The time to act is now". 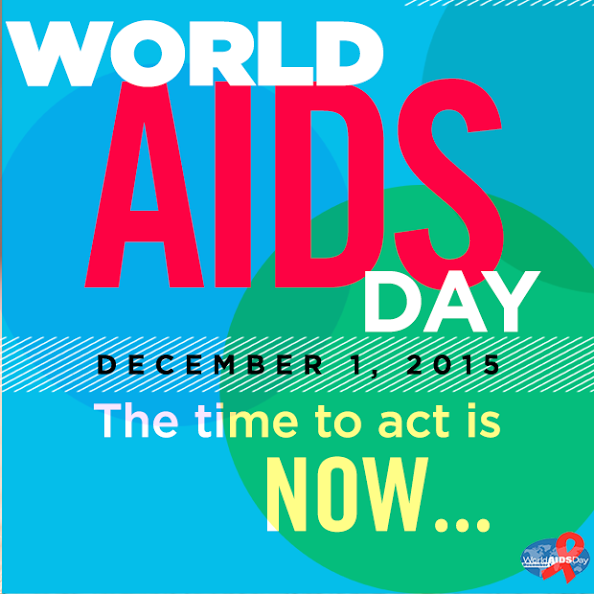 The ultimate goal is to end the HIV epidemic by 2030. To achieve this, new HIV infections should be rare and HIV-positive people should have unfettered access to high quality, life-extending care, free from discrimination and stigma. Mother To Child Transmission (MTCT) of HIV should if possible be eradicated. Everyone should know his/her HIV status. Sub-saharan Africa is said to account for about 70% of the total global new HIV infections. In Nigeria alone, there are about 3 million adults living with HIV and only about 30% of them have access to Antiretrovirals. These adults include pregnant and nursing mums with the potential of transmitting the dreaded infection to their children.We need to eliminate paediatric HIV infections and also keep parents alive. Without any intervention, the risk of transmission of HIV infection from the mother to the baby is said to be 20-45 per cent. This transmission rate can be reduced to less than 2 per cent. We need to check our HIV status as frequently as one thinks one has been exposed. HIV-positive pregnant mums need to register early at a VCT (voluntary counselling and testing) centre and have their pregnancy and delivery monitored, take the prescribed ARVs. We need to break the HIV/AIDS circle and have a generation free from it. Some of our habits expose us and our loved ones to HIV infection. Top among these habits is indiscipline. I've seen several very indiscipline people who disregard their HIV-positive status and live careless sexual lives. They tend to say "I no go die alone" and go ahead spreading the virus. That is wickedness of the highest order. Some live in denial after being diagnosed and go ahead living their lives like nothing happened, till it almost gets out of hand then they start seeking a miracle. The funniest bunch are those who don't believe HIV/AIDS is real, I've seen someone at the last stages of AIDS saying it's 'attack'; you know how good we are on blaming everything on the spiritual. Faith. I believe in God, I believe faith works but sometimes we really tend to abuse faith. Yeah, I believe in the '...moving mountains..' part, but I also know a part says '....faith without works is dead.'. People get diagnosed with HIV and instead of going to the hospital to access treatment that God-so-kind can be gotten free of charge, we go to prayer houses and to Men of God, seeking for miracles. Some abandon their ARVs midway cos someone prophesied that 'they are healed'. I think our prayers and faith should be directed towards finding a cure to the infection. New HIV infections are reported daily in Nigeria with our cases of HIV-related infections topping the global chart. Nigeria alone is responsible for about 80% of the new cases of HIV-related tuberculosis infections in the globe. We need to be disciplined as indiscipline affects us in every sphere of our lives. Let's stop the spread of HIV, know your status, if positive follow you healthcare- giver's instructions and prescriptions. If you are negative do not stigmatise or discriminate against others who aren't, HIV is not airborne. Increase the information on HIV/AIDS at your disposal. There will be several places across our paths today where HIV counselling and screening can be done free of charge . Take advantage of one today, the staff there can answer your questions. We need to stay alive and keep our loved ones alive too. We need to break the circle of HIV infections. We need to end the epidemic by 2030. We need to have a HIV-free generation. It begins with you. The time to act is NOW.